Fish & Ships is a fun way to take real-world objects, add them to a virtual ocean, and create a mixed-reality screensaver. 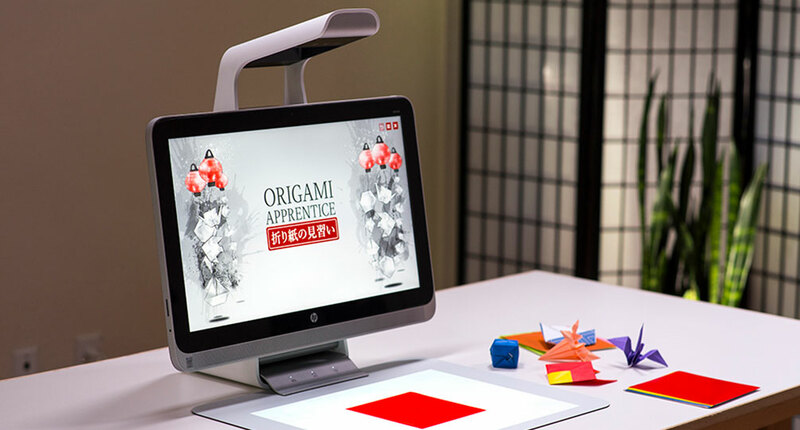 With the Sprout by HP, users can scan objects that represent fish or ships. Once a user has scanned a “fish” or a “ship,” they can customize them by adding patterns and features, and decide how they want them to move. After the fish and ships have been released into the ocean, users can tap the screen to interact with them. Users also have the option to set Fish & Ships as their screensaver. Ideum designed the interface, developed the application, and created all of the illustrations for the virtual ocean scene. Ideum also created Origami Apprentice, another application for the Sprout. With Origami Apprentice, users learn how to make origami angelfish and sailboats – perfect additions to the Fish & Ships virtual ocean! 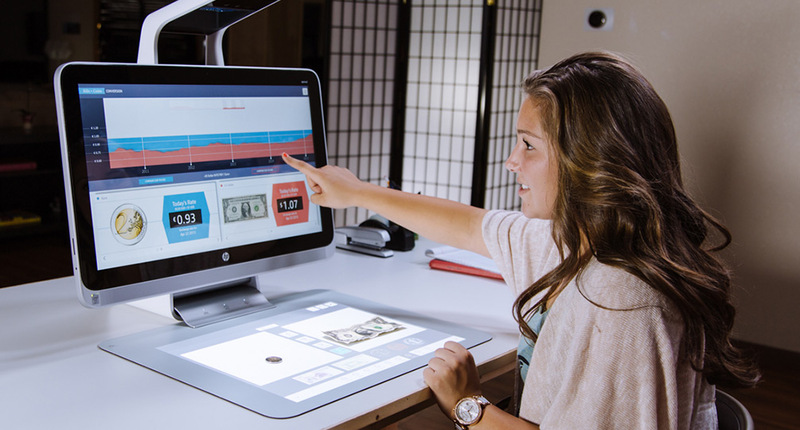 All of this takes place on the Sprout by HP platform, an innovative technology with a vertical touch screen, horizontal touch mat, multiple cameras, and a projector. 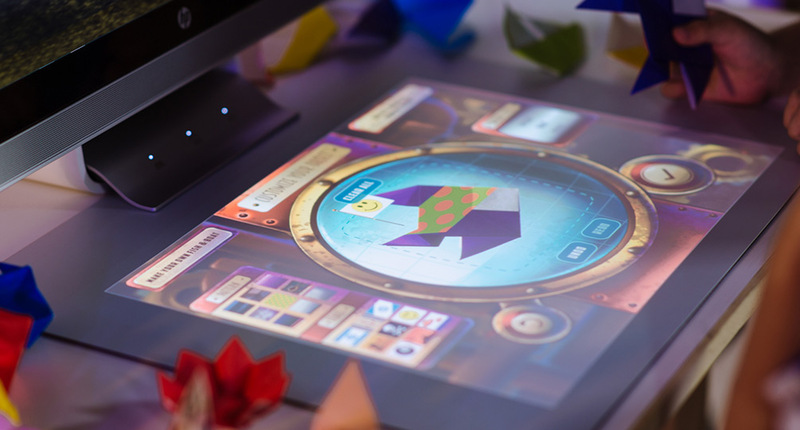 Fish & Ships and Origami Apprentice are both available for free to Sprout users in the HP Sprout Marketplace. 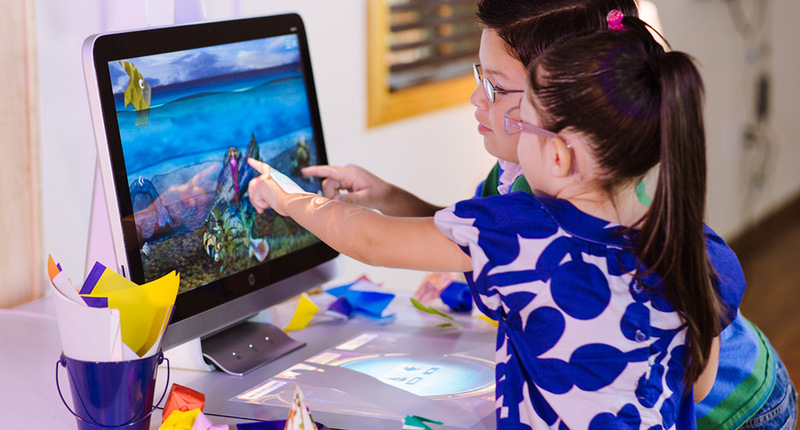 To learn more about the applications Ideum has created for Sprout by HP visit our Creative Services page. 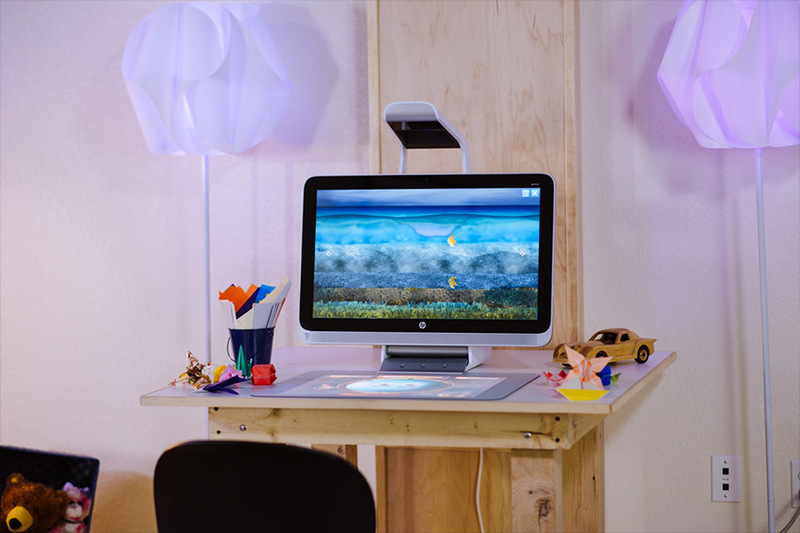 Visitors can choose objects to scan—or make their own. 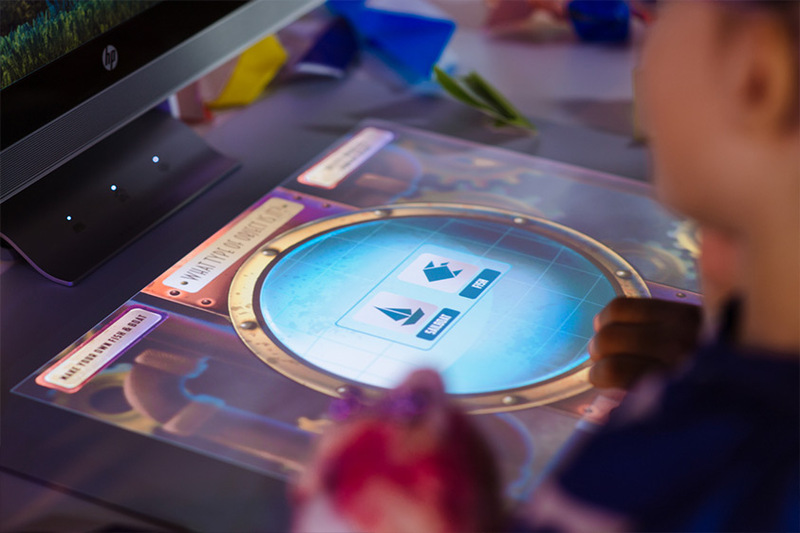 The interface lets visitors decide what they want to create.